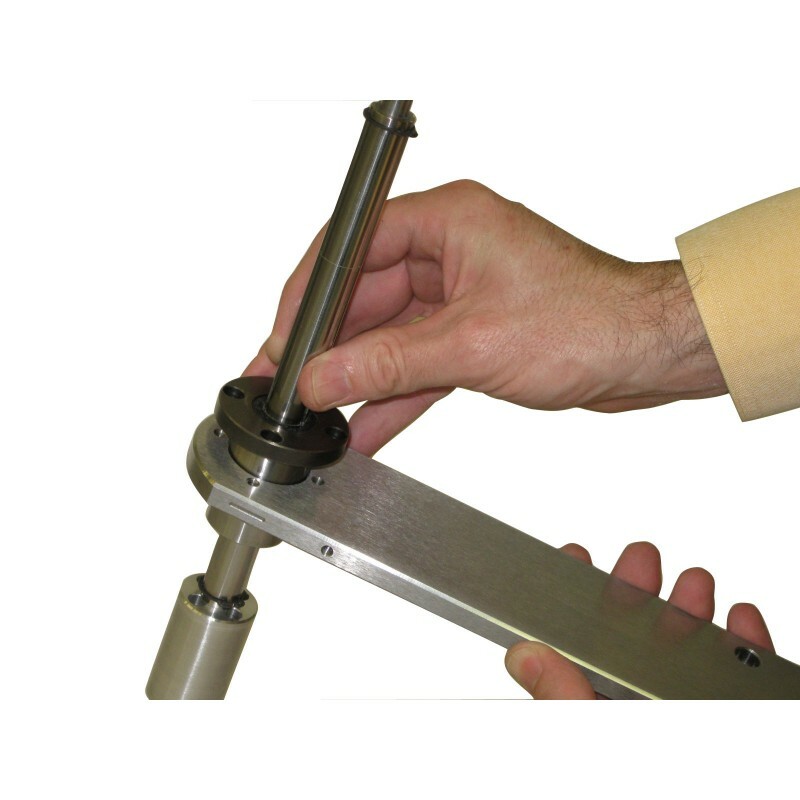 A stroke arm moves back and forth while a free-floating test attachment follows the profile of the sample (curved or flat). 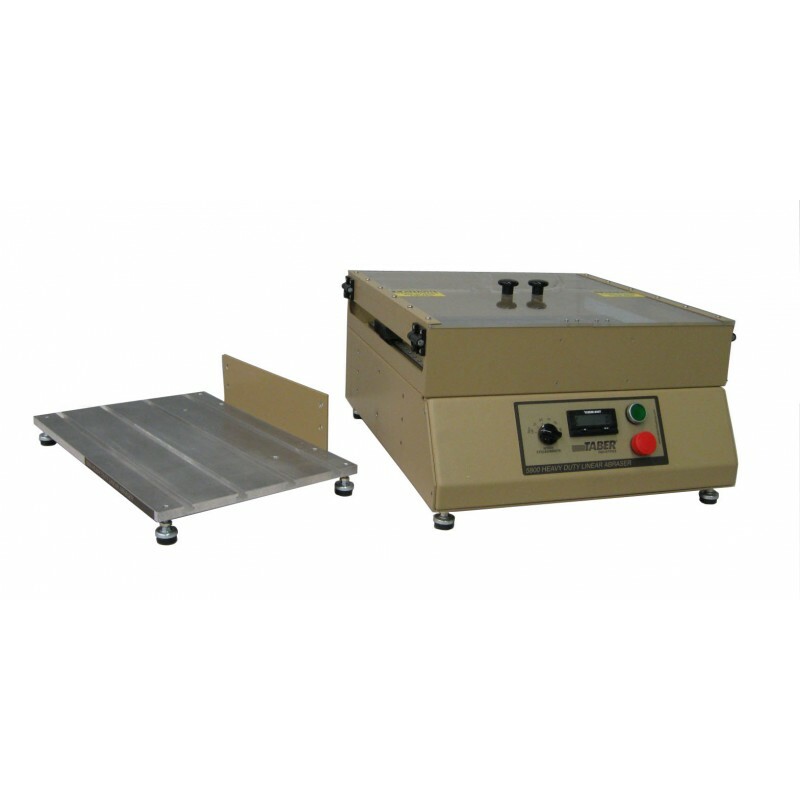 The Model 5800 Heavy Duty Linear Abraser has a greater load capacity (up to 20 lbs. with optional weight) and longer stroke length (up to 12.5") than the standard Taber Linear Abraser Model 5750. Includes 2" diameter Universal Attachment; 3M Scotch Brite Abrasive pads (3 ea. 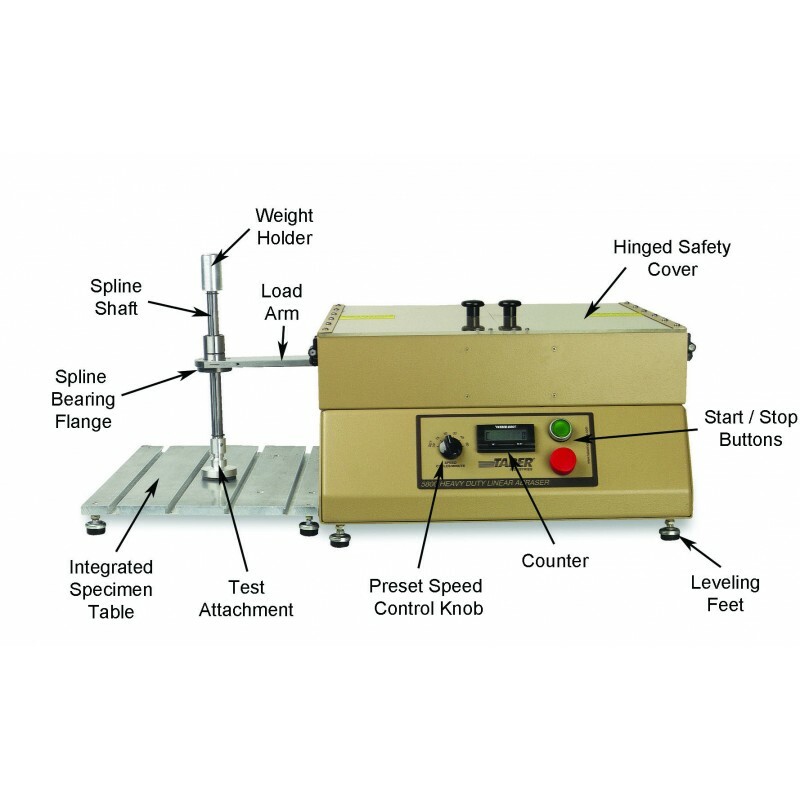 ); Weight Set (1000g, 2000g & 4050g); and T-slot Specimen Table, Also works with most optional wear or scratch attachments designed for the Linear or Reciprocating Abrasers. 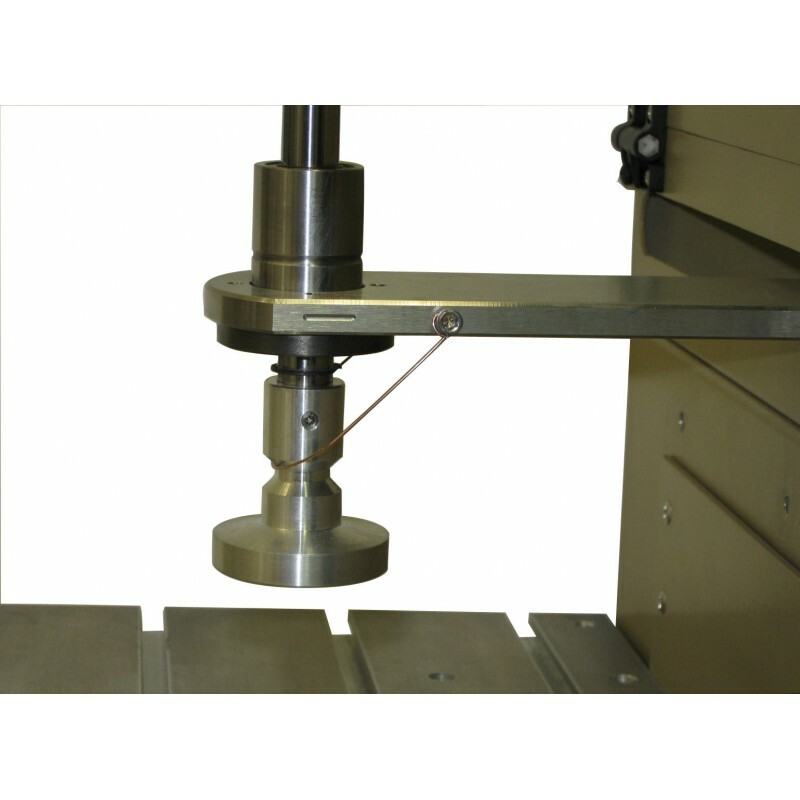 The Heavy Duty Linear Abraser is used to evaluate material properties of products with a rugged, durable surface finish that require an increased testing load or longer stroke length. 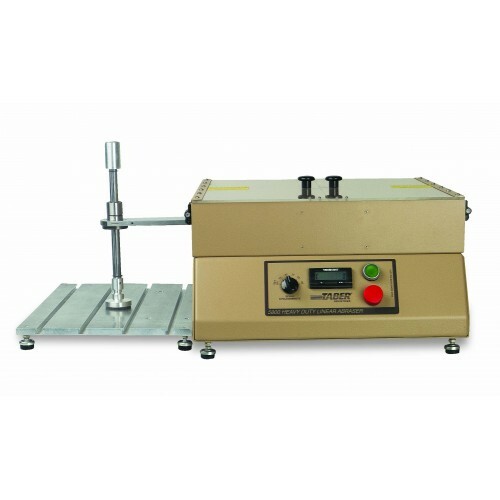 A popular application includes evaluating non-stick coatings used on cook / bake ware.